It is the Eve of Halloween 2018 and my four-year-old is so excited to hit the streets on October 31stfor Trick or Treating. Every year I try to make sure I document the experience, but also take time to live in the moment and enjoy the time with my family. 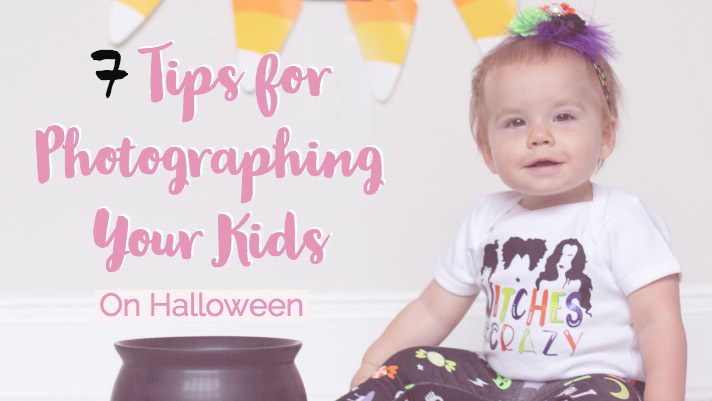 Here are some tips for making sure you capture the day in photographs, but also have time to focus on your children and enjoy all the fun moment a day like Halloween brings! Take Photos of them getting ready! Document the progress of their transformation. This will be fun for them to see just how much a little makeup or a wig can change their appearance. Make them pose once they’re all dressed and ready. This is important because as we all know, once they hit the ground running on Halloween there is no telling when you will get them still and intact enough to snap photos of them in their costume. This is also a good time to get siblings together for photos, or even set the camera timer for a family photo. Grab a group shot! If possible (this one can be hard), grab a shot of their Trick-or-Treating Crew before they set off for the night. It is fun to look back on photos of the kids as they grow year after year, especially if it is the same group of kids each year. 4. Snap some photos from behind. Grab a fun wide shot of the kids running up the block with their candy bags in tow. This just makes for a cute photo and something to look back on as the years pass. 5. Document Trick or Treating the first few houses. Take photos of them running up the streets knocking on doors, neighbors handing them candy, and all the fun details of Trick-or-Treating, but do it early in the night and then put the camera away. There are two reasons for this: one, the light will be best and two, you want to enjoy the moments with your child and it is hard to do that with a camera or cell phone in your face all night. 6. Take a photo of them at the end of their night! This is sometimes the hardest one because after a long night of running around and candy they can be hard to wrangle, but snap post Trick-or-Treating photos so you can laugh a little at how the night weathered their look. Even if they are passed out in a wagon or crying because it is bedtime, snap that picture, be authentic and document life as it is. These moments pass so quickly and it will be fun to look back at them. 7. Take a photo of all the loot! My final tip is to pour all their candy out and take a photo of it! Again, this just helps document the experience and tell the story of the day. It will also be fun for the kids to look at with pride! Remember to have fun and try not to focus too much on getting perfect images. The best photos come from documenting candid moments.